BEAUTIFUL HOME & GREAT LOCATION! 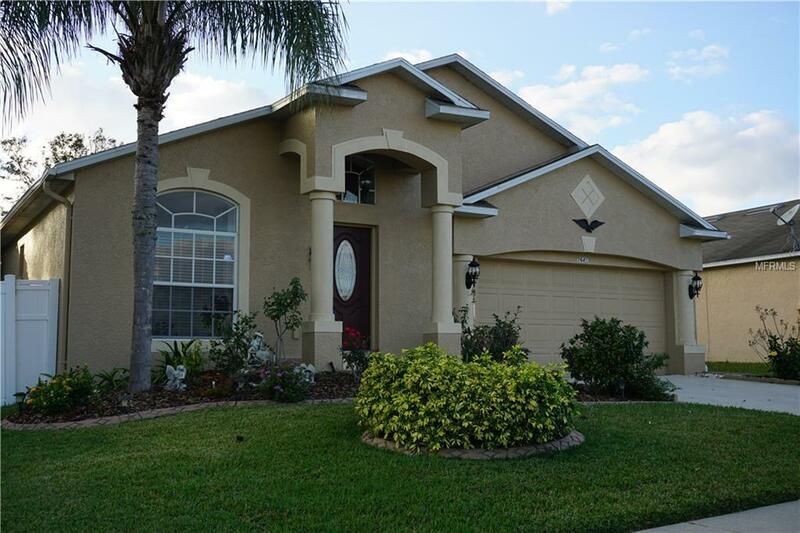 Check out this beautiful and spacious 3/2/2 rental home WITH BONUS ROOM in Crestview Hills which is convenient to premier shopping and medical centers in Zephyrhills. This home has been meticulously maintained, and there is plenty of room for comfort, relaxation, and entertaining. You will pass through a formal living/dining room combination when you enter the front door and make your way into the kitchen. The kitchen is open to the family room which transitions to a HUGE 33x12 FLORIDA ROOM. This home has a split bedroom floor plan. The master suite includes a gigantic walk-in closet, a shower/tub combo, and dual sinks. This is an amazing place to call home for a great value, and it's available for immediate occupancy! MINIMUM ONE YEAR LEASE. APPLICATION PROCESS INCLUDES CREDIT AND BACKGROUND CHECK. LAWN CARE IS INCLUDED, BUT TENANT PAYS ALL UTILITIES. $3,750 TO MOVE IN INCLUDES THE FIRST MONTH, LAST MONTH, & SECURITY DEPOSIT. SORRY, NO SMOKING AND NO PETS. NO EXCEPTIONS. Listing provided courtesy of Vitis Realty.